If you're having trouble finding the destination for yout next trip, Google now lends a helping hand, in the form of Google Destinations. No, this is not yet another new app. 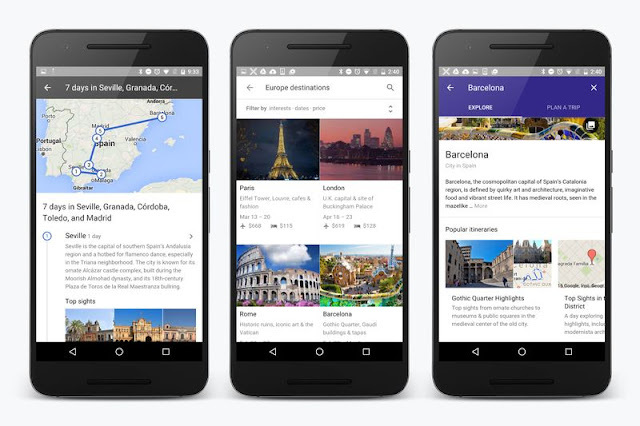 You can reach Google Destinations by simply searching for the appropriate terms (something like "Europe destinations") on your mobile, and you'll be greeted with a new specialized results page that will present you a list of suggestions of cities and places to visit, and where you'll easily be able to explore different options, such as the travel dates. Once you set your destination, you'll also have a wide range of planning option that will help figure out the most popular places you'll probably want to visit while you're there, and - as money is usually one limiting factor on such occasions, you'll also be given a the cost for flights and accommodation, so you can see if that's withing your price range. It's a bit curious to see Google limiting this Destinations to mobile only results (at least for now), but Google says more than half the searches of this kind are already being done on mobile devices... and I'm sure Google will want to push even more people from their desktops to their mobiles.